This is a story given to me by a client turned Practitioner, Bobbie Wilson. She wanted to share her experience of Belief-Shifting. I don’t like Facebook. It confuses me. I don’t know where my information goes or who gets to see it. I don’t like revealing myself to unknown persons. I don’t like getting comments that disagree with mine. I feel compelled to defend myself or cross those people off my list of friends. To say that I am triggered by Facebook is an understatement. I used to respond to the Facebook trigger by explaining to myself how invasive it was, or how much time it took up, or how uninterested I was in other people’s politics or beliefs. I justified my avoidance of social media by making it wrong, at least for me. What I didn’t see was that there is a great message underneath the Facebook trigger. I didn’t want to listen to what it was telling me. 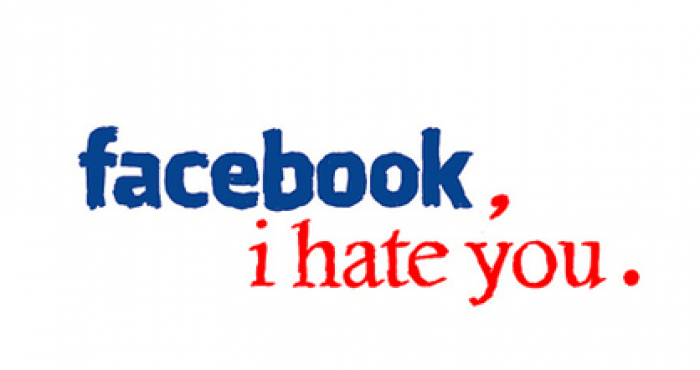 So I diverted my attention into disdain for Facebook and all those who used it. The mere mention of Facebook would upset me. When friends used Facebook to communicate with me, I would avoid their messages and, in a sense, avoid and separate myself from them. I would hide. Nothing I did to try to calm myself, or convince myself about how right I was to avoid social media, would reduce the internal clenching, the fear of being seen, the suppressed anger at those who would point me to a Facebook message or invitation. Part of me knew my reaction was not healthy. It was extreme, dysfunctional and painful. So I asked for help from a Belief-Shifting practitioner. She asked me to recall a Facebook experience that had triggered me. Then she gently guided me to notice the emotional and physical feelings that came up when I thought of that experience. That was not easy for me to do. I had diverted myself from those extremely unpleasant feelings for so long, trying to manage and control my experience with logic and reason. I had not looked at what was unconsciously going on inside of me. I had always immediately bypassed my emotions. My automatic response to those subliminal feelings was to immediately tell my story about why my dislike of Facebook was justified. But she lovingly held the space for me to bring those feelings into my awareness. And I finally opened to those emotions. Here is what it felt like. My body tensed. I closed up energetically, particularly in the heart area. I felt like rolling into a ball and hiding under the bed. I did not want anyone to see me. I felt alone, afraid, isolated and …ashamed. Yes, ashamed. It was a deep, deep sense of unworthiness. It went like a long thread deep into my core, this sense of not being worthy of living. Now what you have to understand about me is that shame was the farthest thing from my conscious experience. By every measure, I appeared to be a successful leader, intelligent, capable, successful in my career and in my relationships and comfortable financially. What did I have to be ashamed of? Yet the shame was there hiding just below my successful facade. What my mind did to defend against the pain of this deep sense of unworthiness was to build a self concept of accomplishment and pride. I needed to prove myself to be better than average at anything I tried to do. I was constantly comparing myself to others and taking my measure. I castigated myself when I fell short of my self image. I pushed and pushed to become worthy. It was exhausting and never truly relieved the sense of not being enough. There was something at the core of my being that couldn’t abide myself…an unconscious disgust and loathing that was operating covertly and driving my behavior. As this shame exposed itself to me, the facade of my persona started to come apart. Who was I? What was going on? My Belief-Shifting practitioner saw what I couldn’t see. That I had separated from my Self, my Source, and made up a false self that I believed was me. It was a limited self, and it had to be constantly fed and reassured that it was OK. She asked me to turn around. She asked me to ask God how He sees me. The image of my false self turning around and seeing what I had separated from was transformative. It is hard to describe how it felt to become aware of something greater than myself that was beckoning to me. My practitioner asked if I was willing to release my belief that I needed to hide. That willingness was not easy to come by. It required a humility and a letting go. It required that I take the risk of being unacceptable to others, to show up raw and unpolished. Jesus tells the story of the prodigal son. He takes his inheritance and squanders it and returns to his father’s house ashamed and broken. He expected to be turned away or punished. Instead his father welcomed him and showered him with love and acceptance, joyful that his son had returned. That parable is about reconnecting to Source, to Life, to Creation. The pain of shame can motivate us to return to Source. When we are at our lowest and most lost in shame, we can take the road home. We can turn around, let go of our self castigation. and step into reunion, reclamation and joy. You know, I still don’t like Facebook. But it hasn’t got quite the punch it used to have. It doesn’t trigger me. I now notice my tendency to hide. Sometimes I still want to. The difference is that I am aware of a choice now. I have experienced the wholeness and completeness that is beyond description when I surrender to Source. When the old tendency to hide behind my self image asserts itself, I know there is another way. I see shame now when it appears. And I can choose to turn around. Does Feeling Guilty Mean You are Guilty? Have ‘YOU’ Become a Never-Ending Improvement Project – Quit Now!